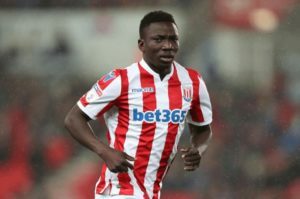 Oghenekaro Etebo made his eight English Championship start for Stoke City who recorded a 1-0 win away to Norwich City on Saturday. Etebo was yellow carded in the 83rd minute of the hard-earned win at Carrow Road stadium in Norwich. An own goal from Timm Klose secured a consecutive win for the Potters who moved 13th in the English Championship table with 16 points from 12 games. Etebo who is one of the four midfielders invited by Gernot Rohr for next weekend’s 2019 Africa Nations Cup qualifier against Libya over two legs has featured in 11 English Championship league games this season. At the St Andrews stadium in Birmingham, Semi Ajayi made his 12th start for Rotherham United who lost 3-1 away to Birmingham City on Saturday. Ajayi’s Rotherham United are without a win in their last five league games. The 24-year-old has made two appearances for the Super Eagles and he is poised for another cap after been called up for the doubleheader against Libya. Anthony Ujah made his fifth substitute appearance for Mainz 05 in Saturday’s goalless draw at home to Hertha Berlin. 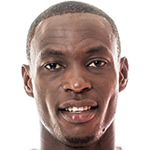 Ujah replaced Jonathan Michael in the 66th minute of the encounter. Ujah has scored twice so far this term but has failed to score a goal in his last four consecutive games in the German Bundesliga. In the Italian Serie A, Orji Okwonkwo came on as a 75th-minute substitute in Bologna’s 2-0 loss away to Cagliari. The former Nigerian youth international replaced Diego Falcinelli for his fifth substitute appearance in six Serie A games this season. In the Scottish Premier League, Efe Ambrose played all 90 minutes for Hibernian who hammered Hamilton Academical 4-0 at home on Saturday. It was his eighth straight start of the SPL season. In Spain, Moses Simon was benched in Levante’s 1-0 win away to Getafe in the Spanish La Liga. The Nigerian international has made two substitute appearance so far this season.